Last night the 2014 edition of the Ottawa Folk Festival came to a powerful close. After 5 days of phenomenal music in a variety of genres, I couldn’t help but think of which performances stuck with me the most. There were a fair number of bands that I unfortunately missed, so take that into consider when you take a look at my picks of the festival. Without further ado, let’s get this numbered list going! M. Ward may have chosen a more rock oriented rock approach to his set than I would have liked, there was still a lot of great stuff in his short set. Each varying guitar styles that he brought to life was a delight for a guitarist such as myself. He played a good balance of older tunes, material from his more recent albums, and solid rock and roll covers. His raspy crooning was comforting in its harshness, with a tone reminiscent of Tom Waits. At some point I do hope to catch M. Ward playing without a backup band. This energetic storytelling bluesman and his high-powered drummer delivered a set that I really wasn’t expecting. From the massive grey beards to the homemade guitars, everything about this set screamed blues. 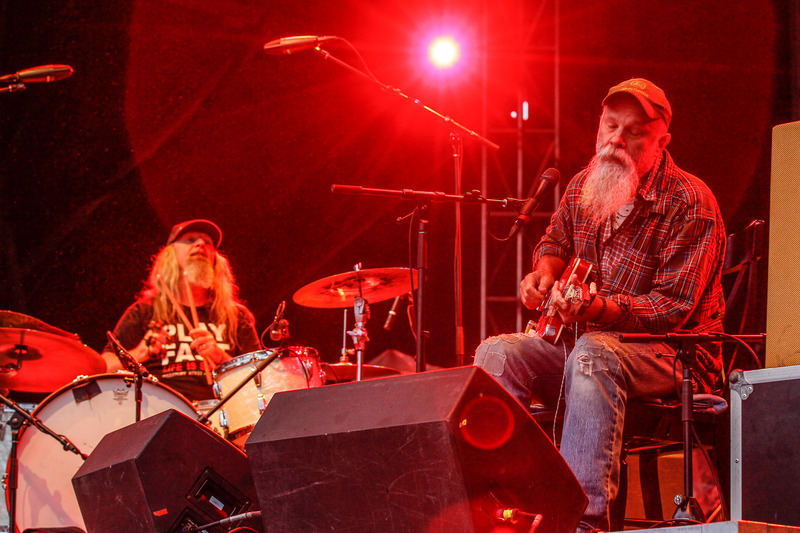 Seasick Steve spent the slot growling his tales from the road at us while slamming away with one rough and frantic guitar lick after another. This one got me moving and warmed me up on that freezing Saturday. I have no idea how well his songs will hold up as studio versions, but if you love a mean blues, you should be seeing Seasick Steve. This longing, emotional indie rock outfit drew the largest crowd that I’ve ever experienced at the Folk Festival (I missed Lorde the night before). Devoted followers showed up in droves to hear incredibly dramatic builds and watch passion pour out of these musicians. While I thoroughly enjoyed this show, I feel that I would have appreciated the music even more if I was well-versed in their material. Small things, like watching euphoric fans yell out the lyrics of “Vanderlyle Crybaby Geeks” and seeing the jubilation of a newly engaged couple nearby, gave this show an extra personal touch, despite the considerable distance between myself and the stage. 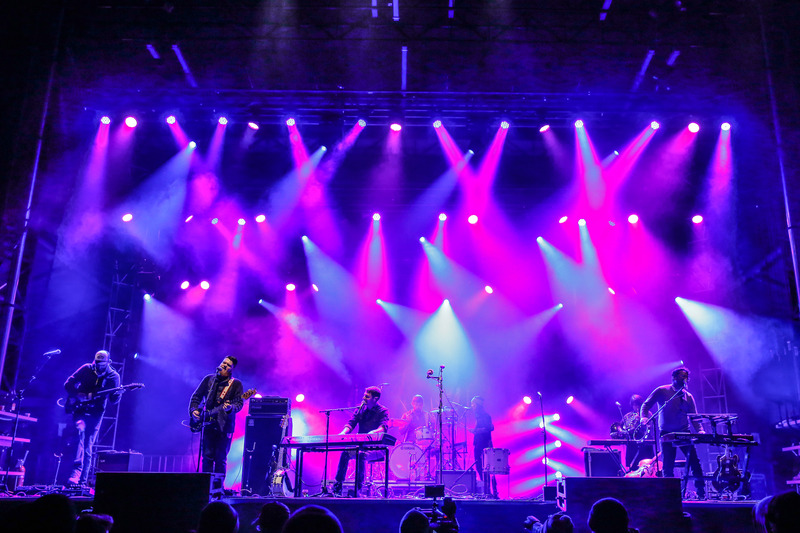 Emotions were flowing with great force from the band, and the crowd was eager to reciprocate. I’ll be keeping an eye on The National’s tour schedule from here on out. The unexpected closer of the festival turned out to be my number two show, and it was an incredibly tight race between this band of Newfoundlanders and the eventual festival champion. Hey Rosetta probably does the big indie rock buildup better and more frequently than any other current band around. Even on their albums you can count on each song to finish bigger than when it started. When they perform live they amplify this by several orders of magnitude. They wrap lyrical depth and intricate layering in joy and fun. Hey Rosetta! composed their set of favourites from Seeds and a hefty sampling of Second Sight, the new record that will be released on October 21. I felt like I could have stayed at that show for a few more hours without hesitation. Neutral Milk Hotel was a new one for me. It was new beyond simply never having seen them before, but their show was unlike any other I have had the fortune of attending. Seamlessly merging the worlds of punk and folk, Neutral Milk Hotel provided raw punk energy, the haunting yet somehow relatable lyricism of Jeff Mangum, the gripping, unmistakable folk melodies carried by Mangum’s voice… The list of fantastic aspects of this show goes on and on. The way Jeremy Barnes manipulated the drums with blinding speed and complexity. The way Julian Koster turned a saw into a gorgeous and eerie instrument, or the way he spun in circles while laying hard into an accordion. I was completely captivated by this band. Congratulations go to Neutral Milk Hotel for keeping me immensely entertained. So that does it for Ottawa Folk Festival 2014. I hope you all enjoyed the festival as much as I did, and I hope you won’t hesitate to share a few thoughts on which shows really stuck with you.